Shade Munro is to leave his post as head coach of the Scotland women’s team to take up a new role within the FOSROC Scottish Rugby Academy. Munro, 52, who will become head academy coach for Glasgow & West, has been in charge of Scotland since June 2015 when he became their first full-time head coach. Munro, pictured, said: “I’ve really enjoyed working with this group of players and seeing the improvements they have made. I am proud of how much they have all developed individually and as a team. “Increasing the level of coaching and amount of training regionally, along with the increase in national camps and competitive fixtures has helped hugely with this development. “There have also been some fantastic highlights during my time involved most notably achieving our first Six Nations win in 35 attempts along with our first away win in the same competition last year against Ireland. “Given the passion and commitment the players show when representing their country and their collective desire to continue to improve I have no doubt that further success awaits Scotland Women’s rugby. “I would like to wish them all the very best for the future. 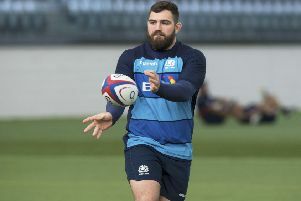 The appointment came in January, but Scottish Rugby and Munro agreed he would lead the team in the Six Nations. 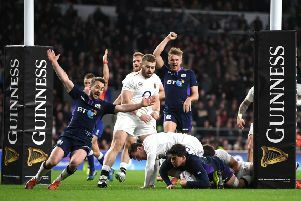 Scotland ended that campaign by losing 80-0 to England at Twickenham on Saturday.